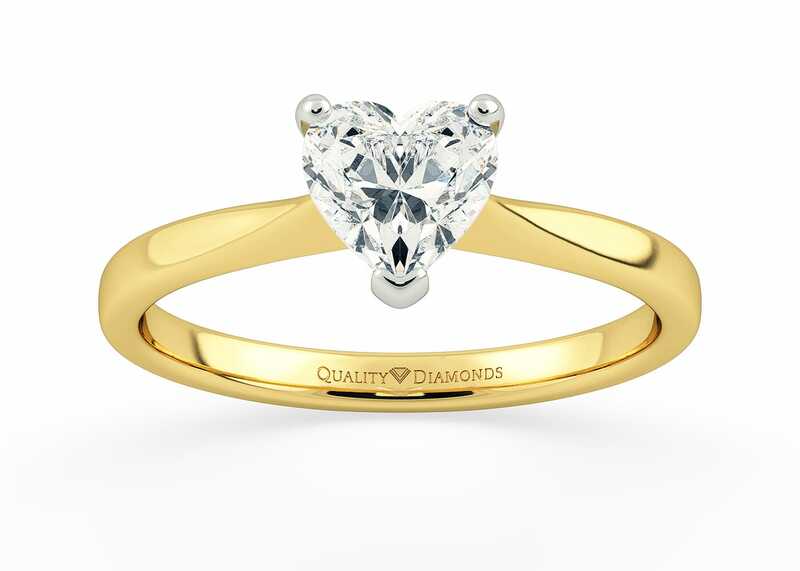 From elegant and simple, to bold and complex, the Quality Diamonds Collection features Heart Shaped diamond rings to suite all Valentine styles and budgets. 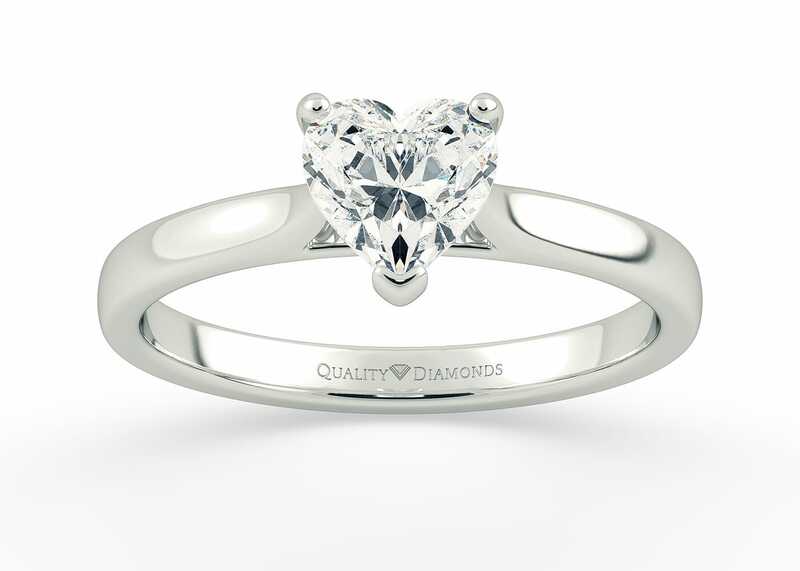 Inspired by the Latin word for Bright, Our Classic Solitaire Clara features an elegant double gallery with three delicate claws complimenting the Heart Cut Diamond. 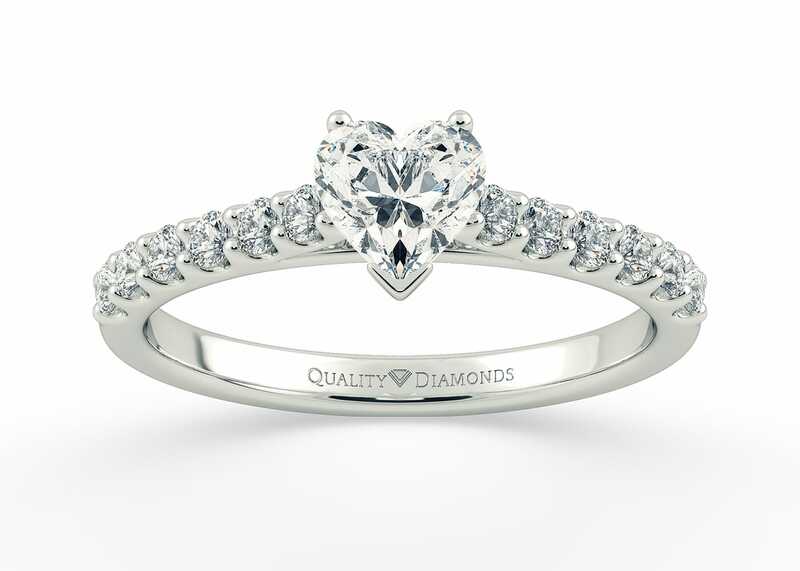 The tapering shoulders narrowing along with the subtle split of the band shows off the stone beautifully. Inspired by the Slavic word for Love and Warmth. Our Classic Vintage Milena features Three Claws securing the Heart Cut Diamond, with open detailing at the sides to allow the light to compliment the Diamond. The Round Brilliant Diamonds are set into each shoulders creating an extra sparkly detail totalling 0.21ct. Inspired by the French word for Jewel. 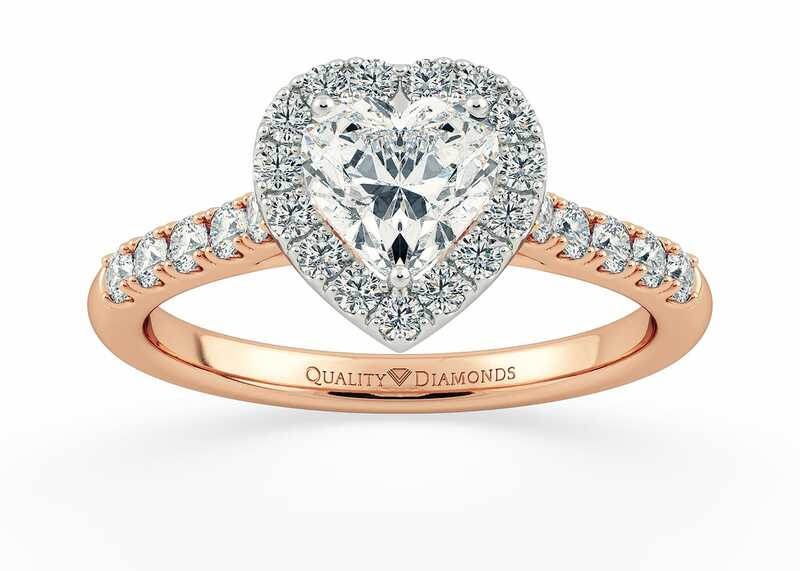 Our Heart Cut Halo Bijou holds the central diamond in a three claw setting with surrounding brilliant round diamonds micro-pave set in the shoulders too. This very Sparkly Vintage Style captures the light beautifully creating a very a dramatic and eye-catching design.